Knee injuries are common amongst runners and this is due to the considerable strain that running can place on muscles, tendons and ligaments surrounding the joint. 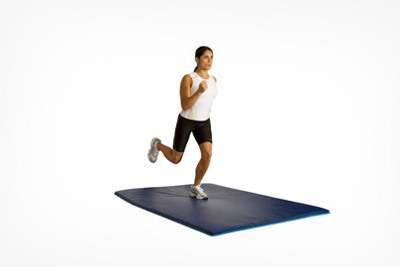 Knee pain in runners commonly presents itself around the lateral side of the knee or around the front of the knee. The causes of knee pain in runners are usually a combination of several factors: muscle weakness or tightness, poor biomechanics, incorrect footwear or training techniques. Sports massage is extremely beneficial in the treatment of knee pain as it can help to release muscle tension and stretch the shortened muscles that are contributing to pain. Illiotibial band friction syndrome is a common knee injury in runners and one of the causes can be lateral structures of the knee becoming tight and massage is an important component of treatment to release these structures. Patellofemoral joint syndrome or ‘runners knee’ is also extremely common and sports massage can offer relief as it can assist in stretching shortened muscles and reducing inflammation.